I was a Direct TV customer for years and finally cancelled. I sent the equipment back in the boxes they provided and two years later, I get a call from creditors trying to collect $180. I didn't trust them, so they directed me to their web site and I ended up paying for equipment I returned two years ago. With all the options out there now, there is no reason to put up with this, I'll never have them again and will not encourage other to purchase this service. I had DirectTV for years and am finally getting rid of it. Over the years, the packages seem to get smaller and the price gets bigger. Over time my receiver box started freezing and when I contacted them Customer Service was no help at all and only wanted me to upgrade to the Genie, which I do not want. Every month the price is higher but my package and everything else is the same. I am willing to have nothing but basic tv if it means I don't have to deal with them anymore. My bill has never been correct and no one has the same account info but of course I'm wrong! I have had 5 times in a row where I get "Error 775" and now again tonight no tv ! I can't believe I left SPECTRUM for this joke of a TV provider! Huge mistake. DONT do it! Direct TV overpriced horrific service!! 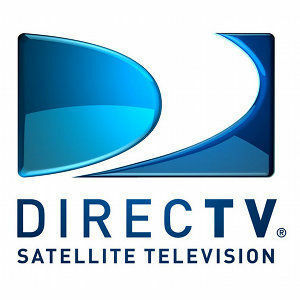 I had Direct tv for years and thought it was the best. My wife made a switch to Uverse and I missed Direct TV until I recently got it back. If your considering switching to it I would not waste your time or money. It is absolutely horrible. Every time you turn a receiver on there is a lag and many times it reboots, which takes minutes. Tonight it stopped working within the last two minutes of the cowboy game and it is still not on. There is a light rain that evidently is the issue. 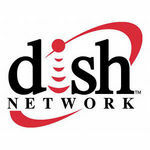 If you don't like what you currently have and are considering direct tv you'll regret the switch. NFL ticket it is the only reason I have it and I'll be cancelling this extremely dissapointing over priced service tomorrow!! Directv Genie is a complete bust. I have been a loyal customer of Directv for over 8 years and have premium package and NFL. I have over six TVs in the house and had a house full for the holidays and the only TV that we could watch was in the family room as it was the only set that was not running with the Genie. I called Directv and they said that there was no fix for this problem and this has been an issue since October of 2018. I will drop this service as soon as possible and I will not hesitate to let others know how bad this customer service is since ATT took over. I scheduled an installation of a Directv receiver on a my new TV. No technician came or called within the 4 hour window they gave me. I called theee times to their service line and got passed around with the same response.." instructions have been received and the technician is on his way". I escalated to the manager of the technicians, waited 25 minutes on the line before he joined and he promptly disconnected me as he was talking. Directv has really gone downhill since I first started with them almost 15 years ago. Looking for another provider now. Any recommendations?? There isn't one customer service agent that I have talked to yet that isn't either hateful or just plain ignorant. They get attitudes like money is coming out of their pockets. Direct should redo their trainings for ALL of their employees. I would never recommend. an installer was supposed to be out between 12 and 4, no one ever showed. when I called to see the status they told me that they didn't know when someone would be out. then no one came. I also signed up for internet and they told me that they could not install because my garage door is broken. I was never told that they would even need in my garage. The new "GENIE" is anything BUT! While watching tv the device pauses for 2 to 4 seconds all the time!! Making it impossible to enjoy a show and it sometimes skips the part when it paused. The controller is a joke-- if you mistakenly hit the "on" button while trying to push the guide button the tv turns off but not the receiver and if you press "on" again the receiver turns off but the tv turns on and you have to play the " Right button game" sometimes the guide button throws you somewhere else and you can not do anything but turn the thing off and back on WHAT A JOKE THIS IS Do you not test anything??? Don't even get me started on their horrible customer service. My advice is to stay away from the new and fantastic "GENIE" wireless stuff.